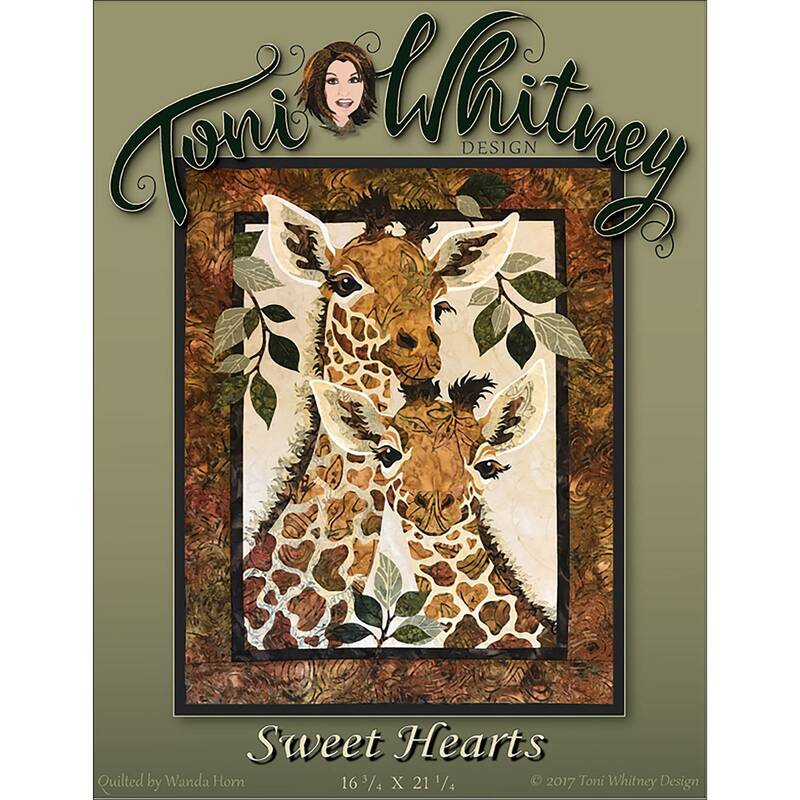 Toni Whitney's Sweet Hearts pattern, giraffes in love! 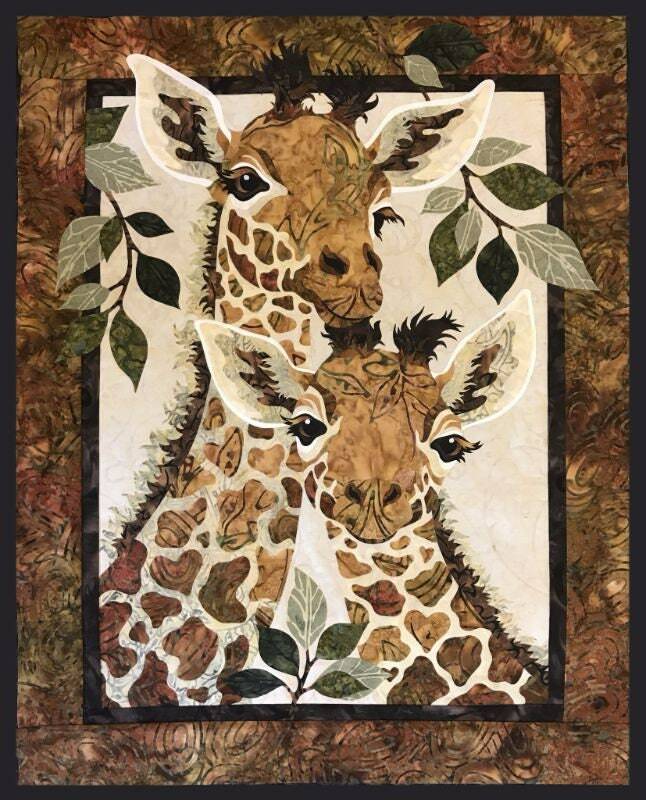 Quilt size: 16.75" x 21.25"
This pattern is designed for raw edge fusible applique, so an Applique Pressing Sheet is recommended. 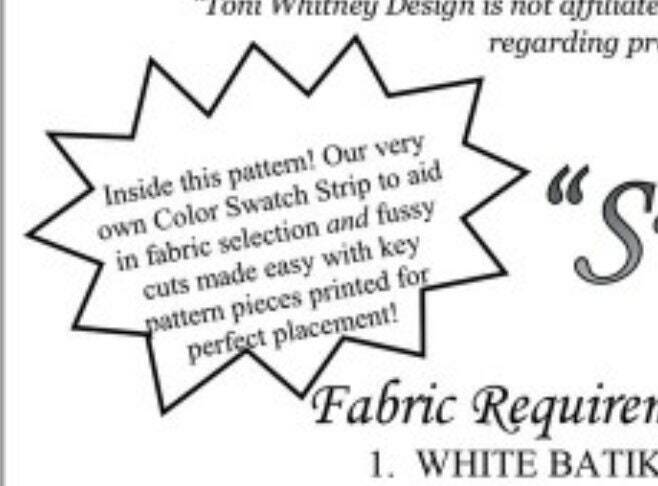 The pattern contains easy to follow instructions, a full size layout guide, & pattern pieces that are already reversed for applique. 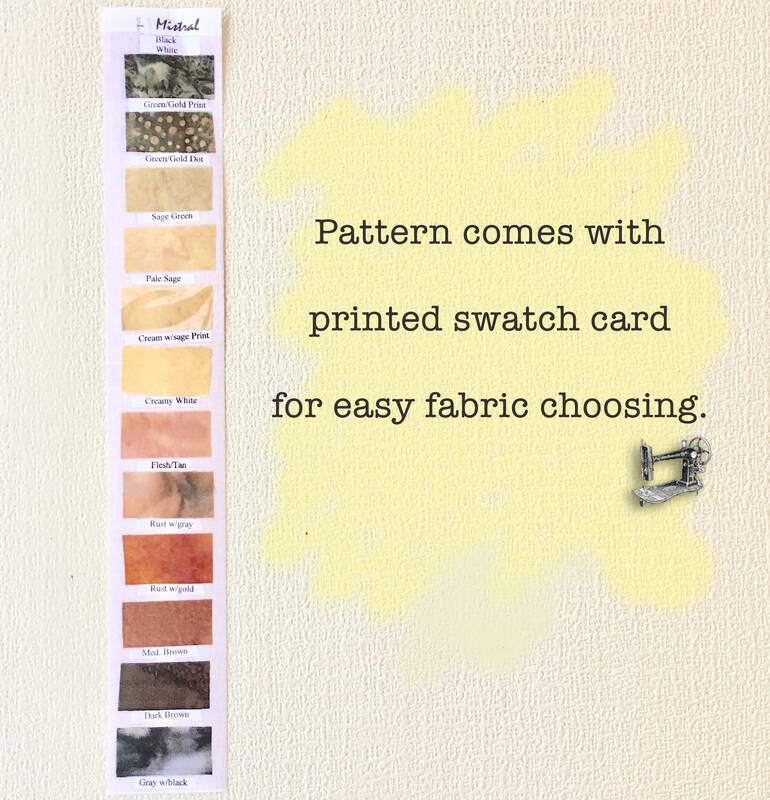 Included is a suggested color swatch strip to aid in fabric selection.